I always look forward to reading books by Brandy Purdy, not for their historical accuracy, but for their entertainment value. As an author, Brandy is not afraid to push a story to its limits with her own slant or interpretation of history. Historical truests might be disappointed, but for readers who simply want a gripping good read, her books definitely make the mark. 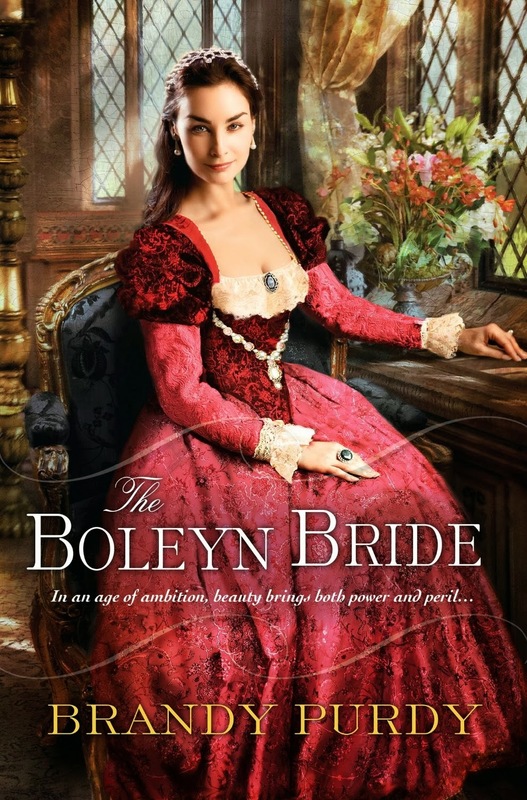 In the Boleyn Bride, Brandy takes on Elizabeth Howard, the mother of Anne and George Boleyn, who both lost their heads at the wrath of King Henry VIII. Little is known about Elizabeth Boleyn except for the rumors that she was once mistress herself to the notorious king, was beautiful, and had numerous affairs. Ms Purdy weaves a great story about a selfish woman with little love for her husband, and only a passing interest in her children. Filled with regrets, the main character looks back on her life, and the deep pain she suffered at their deaths and those who caused it. There are brilliant descriptions of the royal court, clothing, food, and lavish entertainments. The novel is very well plotted, and written in a very strong first person narrative that is both poignant and which deeply evokes the protagonist’s personal thoughts. The book held my interest from start to finish and I loved all the rich descriptions, especially her affair with the famous doll-maker, Remi. Another excellent novel by Brandy Purdy.